Friendships manage to get complicated in the weeks to go before heading off to college in the coming-of-age comedy, Banana Split. A trio of high school seniors, April (Hannah Marks), Nick (Dylan Sprouse), and Ben (Luke Spencer Roberts), are in their final summer before leaving for college. None of them know it at the time but their lives are about to get messy in these final months. With just months to go before college, April and Nick break up all of a sudden. When you see some of the montages in a film, it’s not a surprise. Ben sees this breakup as an opportunity not so much for himself but for his friend, Clara (Liana Liberato). By introducing Clara to Nick, Ben has upset the balance of friendship. This is because April is pissed. She has every right to be. It doesn’t matter that both April and Ben are friends but that he betrayed her trust in setting Nick up! There’s some great opportunities for comedy and yes, they surely take advantage. What follows is that Clara–now dating Nick–introduces herself to April. Unbeknownst to Nick, Clara and April are also best friends now. Their rule? That they never discuss the elephant in the room: Nick. This female friendship–amid a love triangle-soon begins to take focus. You almost forget that Nick is a part of it because of how little he’s seen during this span. While the two have become close friends, April and Nick haven’t completely fallen out of love with each other. This only complicates the friendship between April and Clara. Even as they’re set to go their separate ways, the friendships are unlikely to remain the same. The situation at hand is ripe for comedy and the script doesn’t ignore it. They take advantage of how contemporary relationships can’t ignore the social media angle. While this may date a film (Instagram has a heavy presence), social media can’t really be ignored. Longtime cinematographer Benjamin Kasulke shifts behind the camera to the director’s chair. With so much knowledge learned from his fellow filmmakers while behind the camera, the transition is a smooth one. The story flows together well on screen. This is the second of two films to premiere this year from the writing team of Hannah Marks and Joey Power. Unlike their SXSW-premiering After Everything (formerly Shotgun), this one plays as more of a comedy. There’s still a relationship at the center of the film. In this case, there’s a few relationships that the two writers explore in this script. The biggest relationship of all is the female friendship between April and Clara. If you haven’t paid attention to Hannah Marks yet, she’s an actress and filmmaker to watch. With a smartly written script that allows for its actors to shine, Banana Split doesn’t disappoint. Banana Split held its world premiere during the 2018 LA Film Festival in the program. 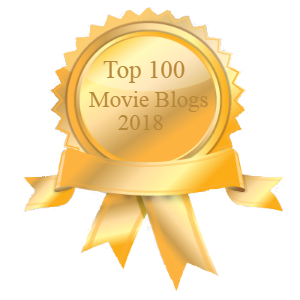 The post LA Film Festival 2018: Banana Split appeared first on Solzy at the Movies.